After climbing the steep paths of Porrera to get to Cal Carlets, you’ll still have to walk up a stairway to get to the dining room. But you’ll find it’s well worth the effort, firstly because you’ll have discovered this beautiful village in Priorat, secondly because you have some beautiful views from the upper part of the village, and lastly because we can eat homemade dishes and products from Priorat here, with, of course, a good selection of wines. Good value for money. Known in town as Hostal del Racó, not even its owners know much about the origins of this place, but we do know that it used to serve food and accommodation to travellers who were passing through in the seventeenth century. 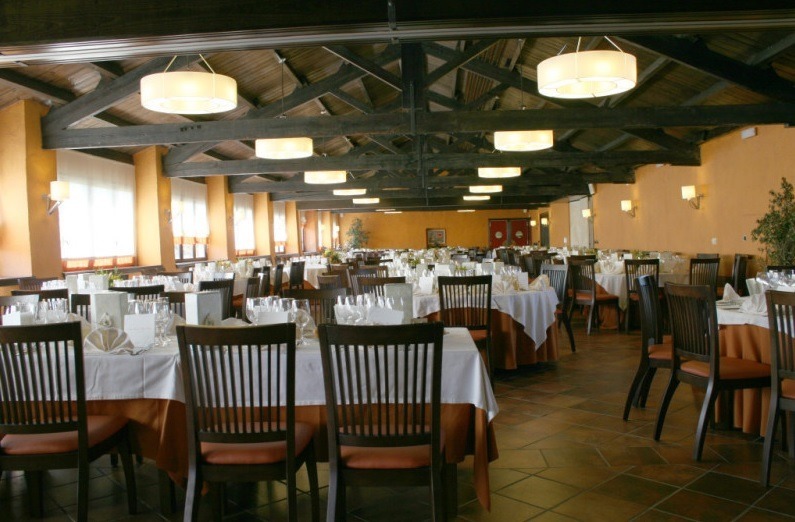 Today the area of the rooms is being renovated, but you can still have a meal in the spacious restaurant part, which is full of old photographs and serves home-style food. 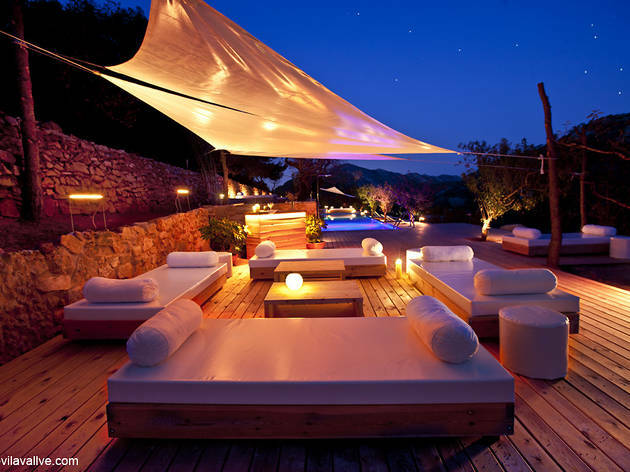 Located in the quiet village of La Vilella Baixa, set amid the mountains of Montsant, Cal Pep serves home-style food with a set menu that will not leave you hungry, including two courses, a starter, dessert and drinks. The rabbit casserole or the stuffed aubergines are among the most popular dishes, but you can also order sweet and spicy snails, and for dessert, pears in local wine from Priorat. 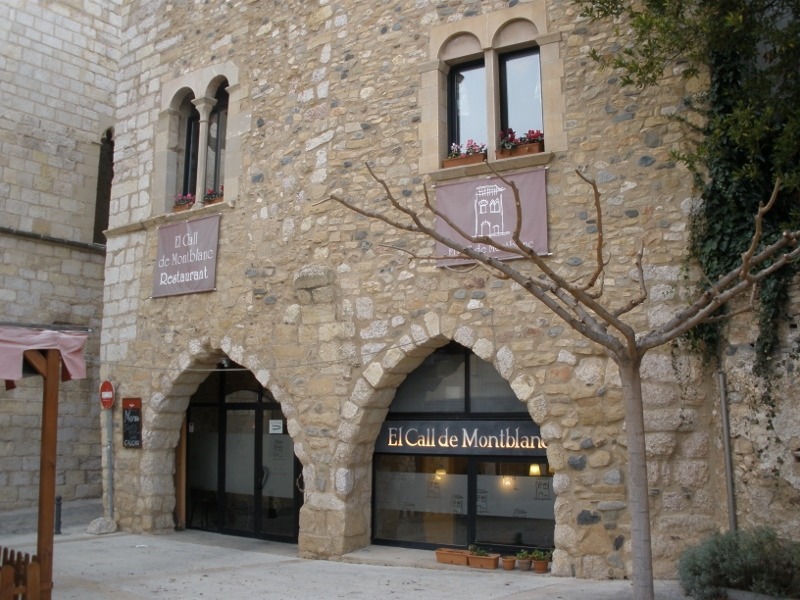 This is a good, wallet friendly option if you’re visiting the monastery at Escaladei, for breakfast as well as lunch, since this cosy, family style restaurant is open all day. If the weather is good, take advantage to sit outside to enjoy toasted bread with cold cuts, tapas, a la carte dishes and combination platters. 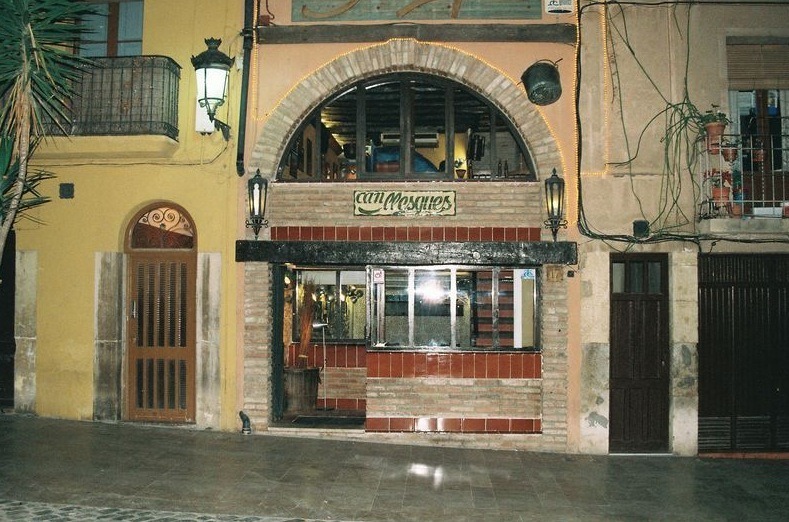 This restaurant's name comes from the fact that it is housed in what was once the tobacconist’s shop in Prades. But you won’t notice the smell of tobacco: this small restaurant offering home cooking using traditional, simple recipes has been open for three decades now. Once past the entrance arches, if you feel like eating something solid, order a butifarrada – an assortment of local sausages - or grilled lamb served with garnish. 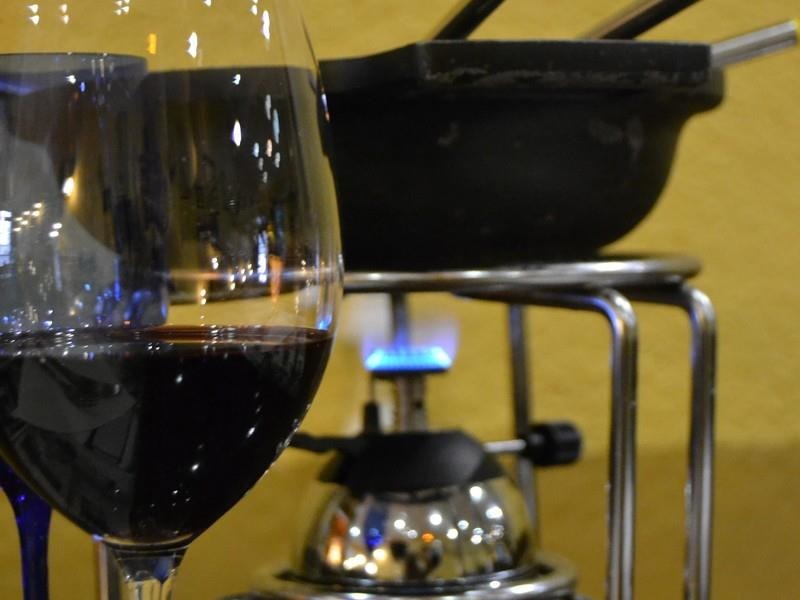 Located in Borges del Camp, this cosy restaurant with a double diminutive name serves up excellent dishes of snails, grilled meat, pig’s trotters and, when in season, calçots. This is market style cuisine served in peaceful surroundings. And in summer you can also enjoy a pleasant after-dinner cocktail. 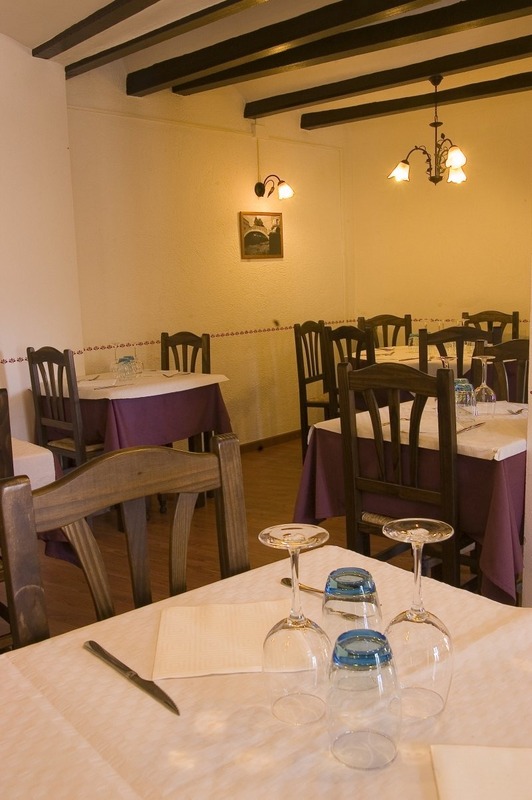 If you’d like to try some mountain-style cuisine, consisting of game dishes, stews, grilled meat, cold cuts or cheeses, all washed down with good local wine, La Cuina d'en Carlos, located next door to the Chapel of Santa Marina in the village of Pratdip, is an excellent choice. These are uncomplicated dishes but feature high quality produce served in a relaxing and friendly environment. If you’re with a group you can ask for a tailored group menu. 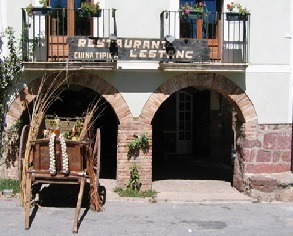 Serving home-style local cuisine, this restaurant is located on the first floor of a rustic hotel. 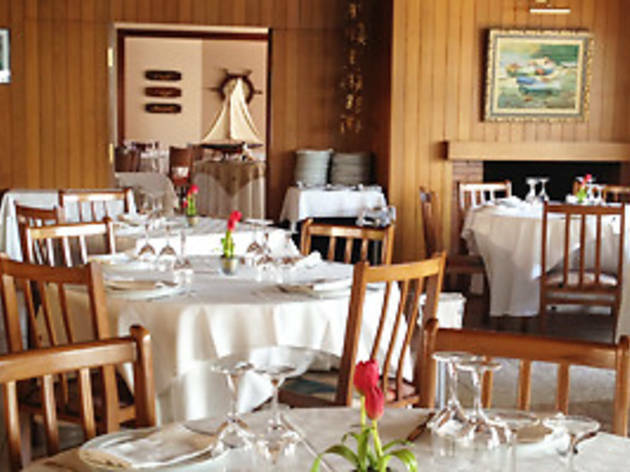 The owners highlight among their star dishes sopa de brosses, esqueixada salad with salt cod, pig’s trotters and fricandó stew, as well as a variety of grilled meat dishes. It’s also a good place for a hearty breakfast. Fish and seafood are the star ingredients at this restaurant, which is now in the hands of the third generation since it opened its doors in 1951. As you can imagine, it is well known in the area despite not being located on the seafront but on a hilltop, which has its own charms: spectacular views and the sea in the background. There are fixed price menus at a variety of prices that will help you to eat like kings. 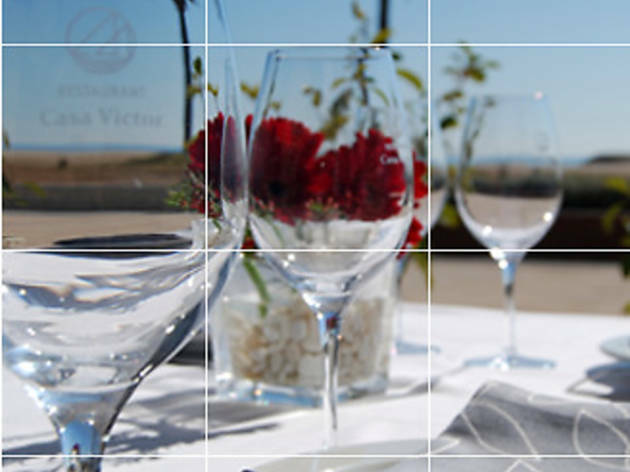 Mr Julià’s father opened this excellent restaurant located near Calafell beach more than half a century ago, and today, as on the first day, it offers delicious dishes made with fresh fish brought directly from the market in Vilanova. 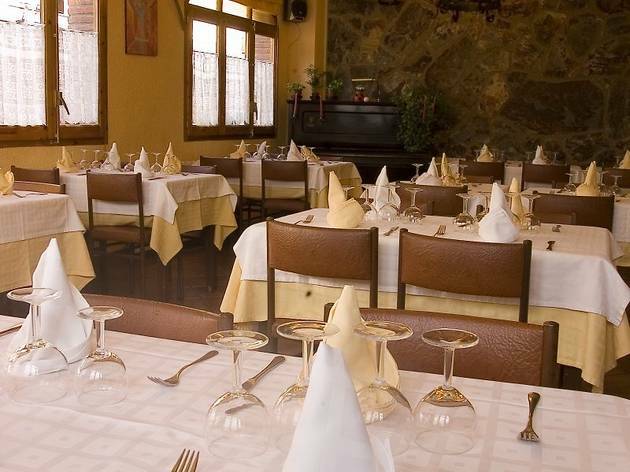 Here you’ll find large tables and warm and attentive service. By all means enjoy your fish, but leave a little space for dessert; we recommend that you try a Tarraco – a cake made of hazelnuts, chocolate and hazelnut cream. 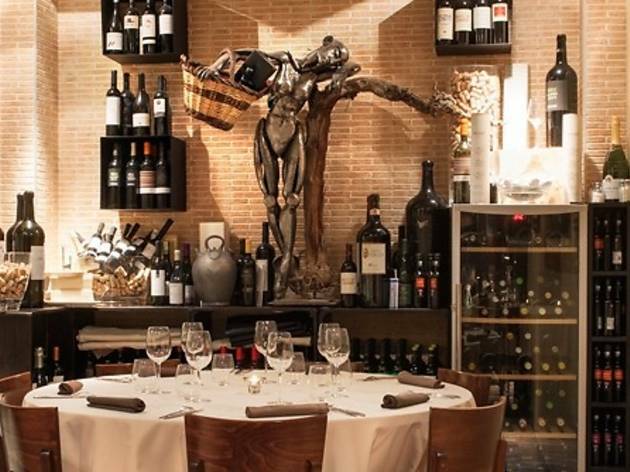 This is an Italian restaurant, but one that goes far beyond classic pizza and pasta. Owner Giorgio Serafini makes dishes with no additives, preservatives or artificial colors, using vegetables from his own garden and his own pasta. 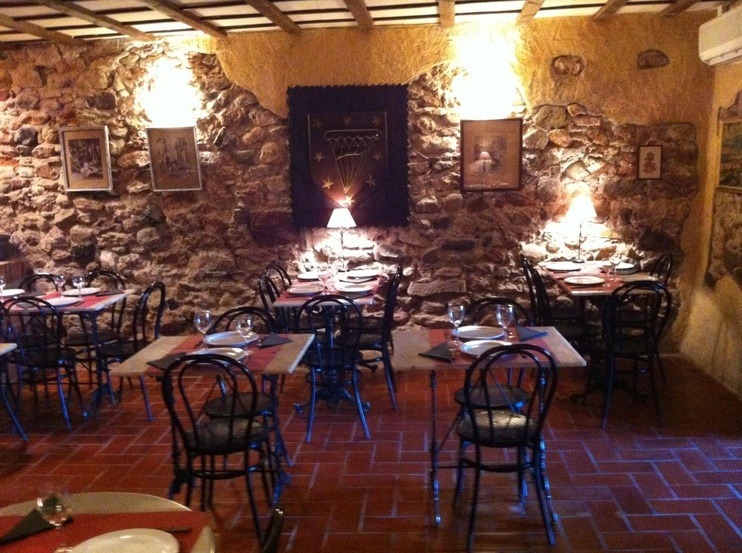 The dining room is a veritable museum with dozens of original, attractive paintings on the walls. 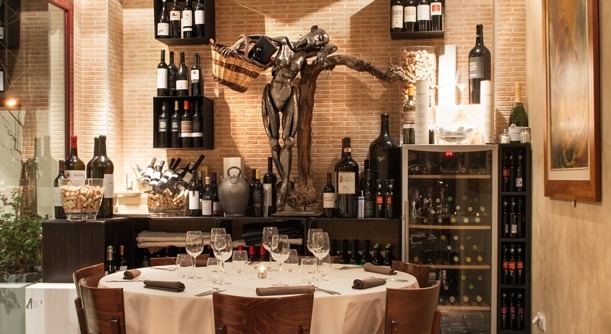 Here gastronomy and art come together under the same roof. This restaurant serving seafood and market cuisine is certainly family style (with father and son working in the kitchen and the mother in front of house). 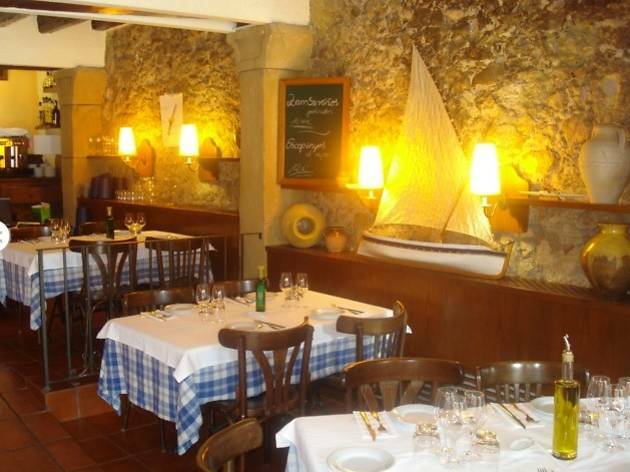 It’s recommended by many prestigious guide books and you’re sure to enjoy their rice dishes and fish stews or, if you prefer, the seafood that is brought here directly from the nearby Vilanova fishing port. With advance notice, you can ask them to prepare arrossejat, a local speciality. This restaurant with a long tradition in Segur de Calafell (this year it is celebrating its 40th anniversary) has not abandoned the traditional way to cook simple food, including rice, fish and seafood dishes, all made with top quality produce . 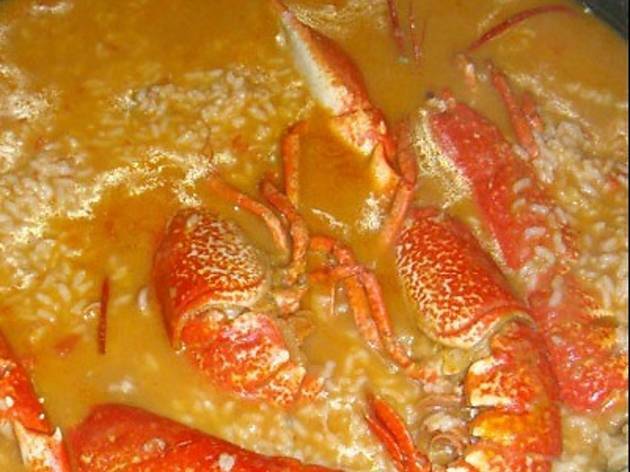 It’s a good place to enjoy arrossejat, a Calafell speciality, but the paella Parellada or the prawns from the port at Vilanova will also leave you more than satisfied. Looking out from the terrace of restaurant-hotel Lorca you seem to have your feet soaking in the sea. With this seascape for company, you feel even more like trying a good rice dish or any of the dishes featuring fish caught not too far away from here. When you go for a swim at Almadrava beach (which belongs to the municipal area of Vandellòs i l'Hospital de l'Infant) you can have a great lunch here. Small and hidden away in Masriudoms, El Bistro is a small space for 12 to 14 diners that combines French bistro style decor with the architecture of a Catalan house. 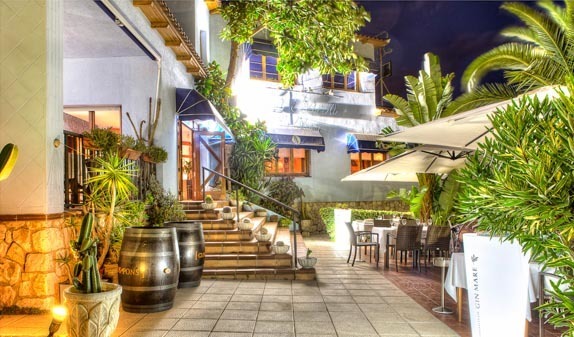 Expect a warm and friendly welcome with a complementary glass of cava and some great food. 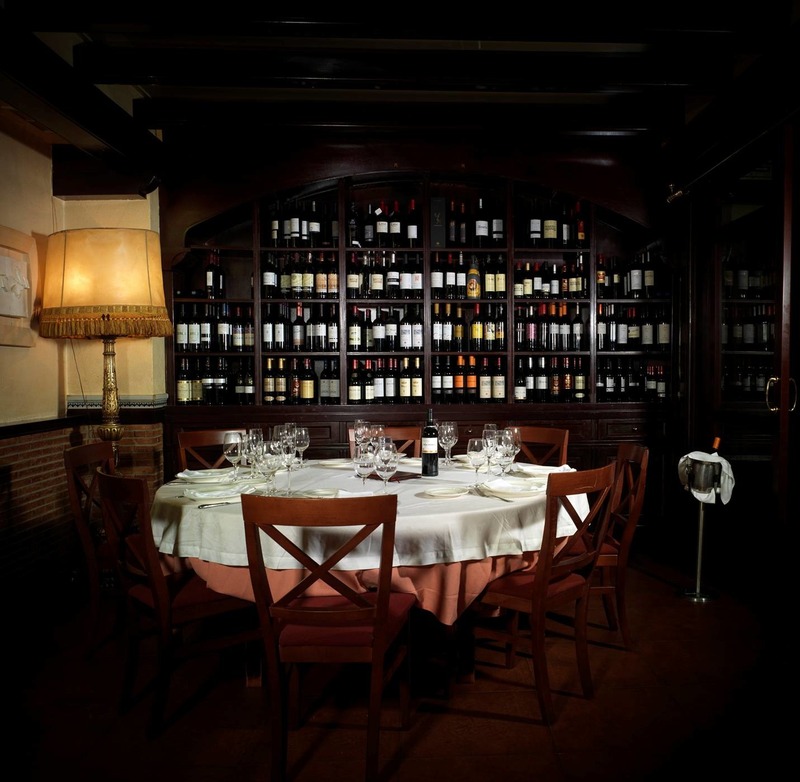 The wine list features DO Priorat and DO Montsant wines, which complement perfectly Peter and Doris’ star dishes, especially the veal fillet steaks. 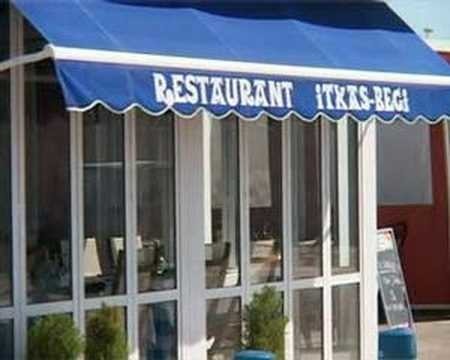 Located in the middle of the marina, Itxas-Begi is a restaurant with a good local reputation that serves Basque cuisine with the emphasis on fresh, powerful, well cooked ingredients. Examples include monkfish with poached egg, hot oil foie with raspberry comfiture and grilled octopus with potato confit. Desserts here are also delicious. The details are also well taken care of with, for example small aperitifs being served to diners. Food is presented elegantly at Nàutic, adding a signature cuisine touch to ingredients that are already top quality. This makes for a good restaurant that you’ll want to return to in the future. 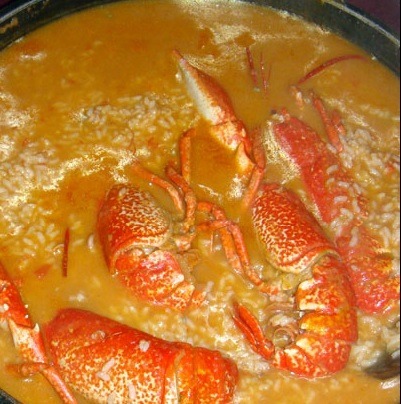 Try their rice dishes or any of their fresh fish and seafood specialities (such as the lobster stew called caldereta de llagosta. This restaurant enjoys a prime location in Mont-roig, just next door to the new church and very near the Miró Centre. It is set in an old and rather charming house and has a terrace from which you can contemplate the surroundings. 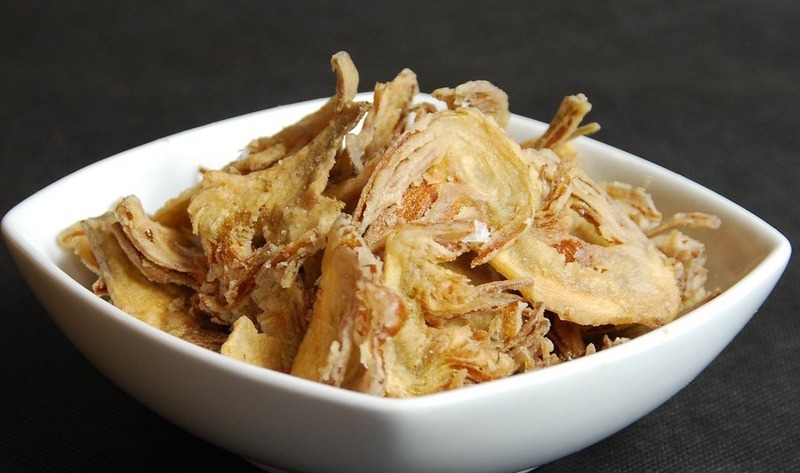 Foodwise, expect everything from assortments of cold cuts to salads, as well as elaborate tapas (including traditional dishes like cap i pota tripe, pig trotters and rock octopus in onion). 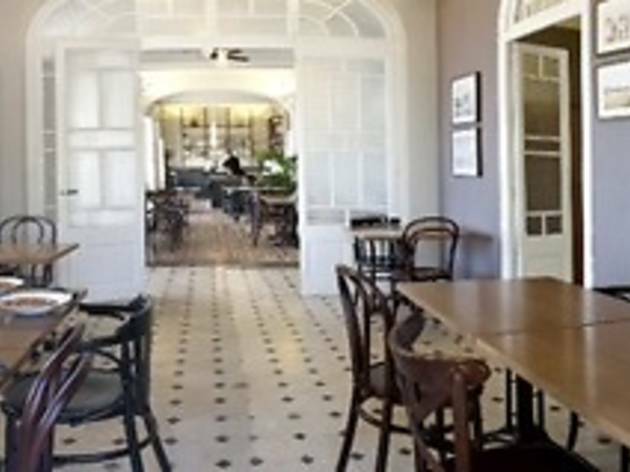 This home cooking style restaurant is the ideal place to try a fixed price lunch menu and simple dishes. 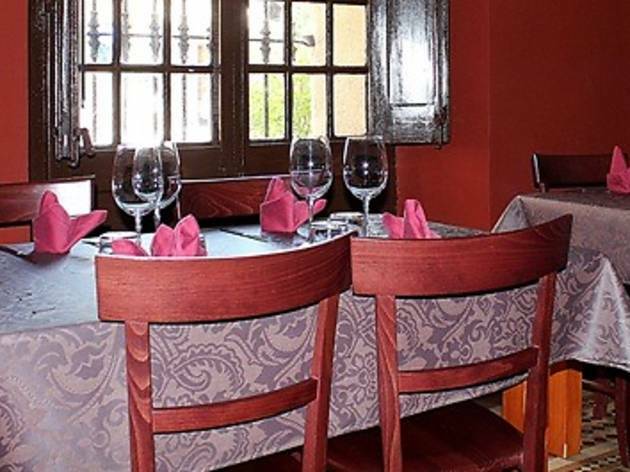 The fixed price menu is varied and has around 10 starters and 10 main courses to choose from including dishes of noodles with seafood and crepes with vegetables, ham and cheese. 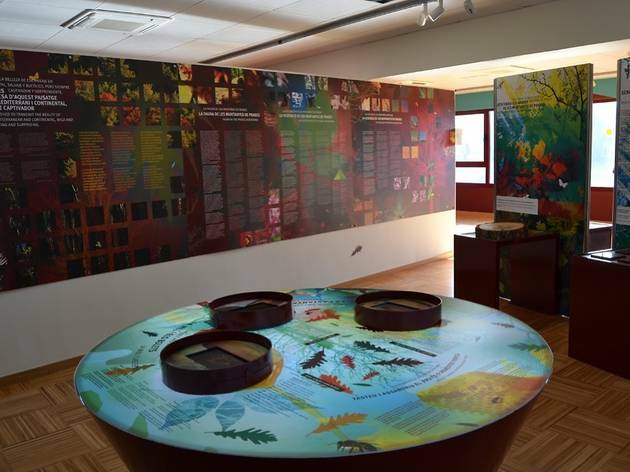 The dining room is decorated with seasonal exhibitions of paintings. A restaurant with different environments and warm, rustic decoration that’s particularly remarkable for its value for money, it offers a variety of menus from €10. You can also eat here at the weekend without worrying too much about the price. 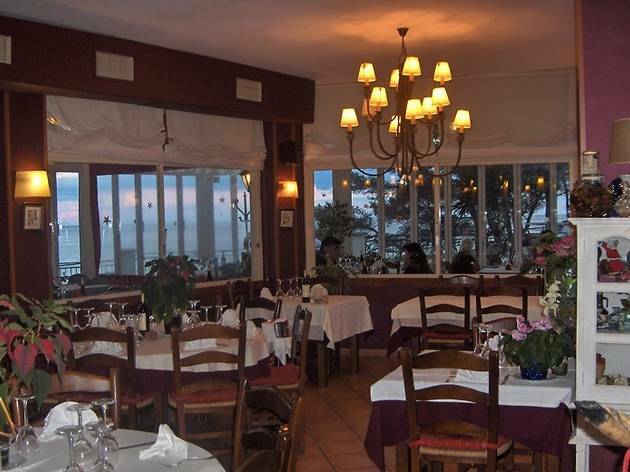 The restaurant serves paellas, botifarra sausages, and an excellent steak a la Strogonoff. 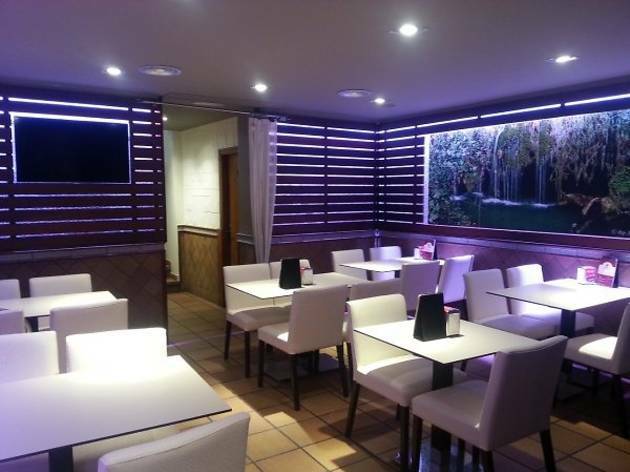 Located in the Passeig Marítim in Miami Platja, this pizzeria offers a menu where pizzas, of course, take pride of place, along with pasta dishes, but which also offers a wide range of meat and fish dishes. 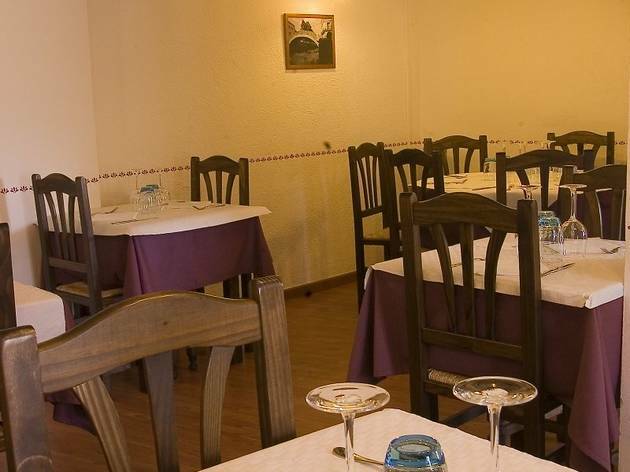 In fact, you could say that the concept of Mediterranean cuisine fits the place perfectly, since classic French dishes and paellas are also served here. 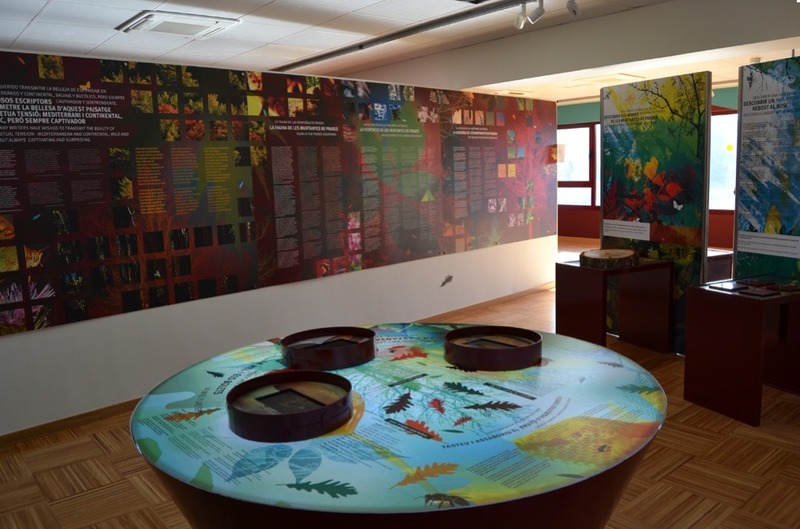 A good place, therefore, for families or groups with diverse tastes. 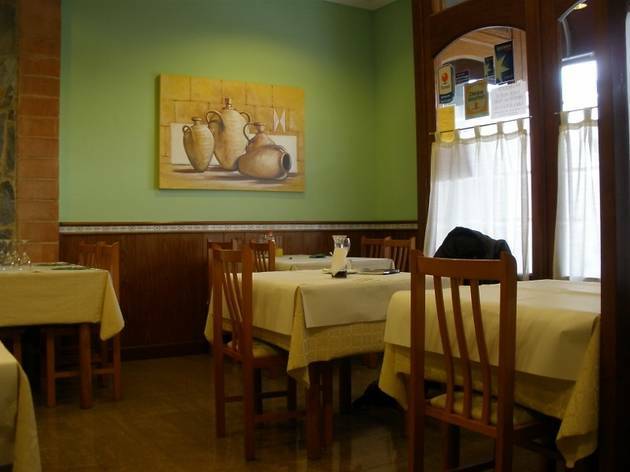 "No hi ha alegria amb la panxa buida" (There’s no joy on an empty stomach) – that’s written on one of the walls of this restaurant, whose original decor is in contrast to its decades of history in the centre of town. It has a varied menu that includes everything from cold tapas and carpaccios to paellas and other rice dishes, pizzas, snails and tuna tataki. It’s also an excellent place for vermouth. 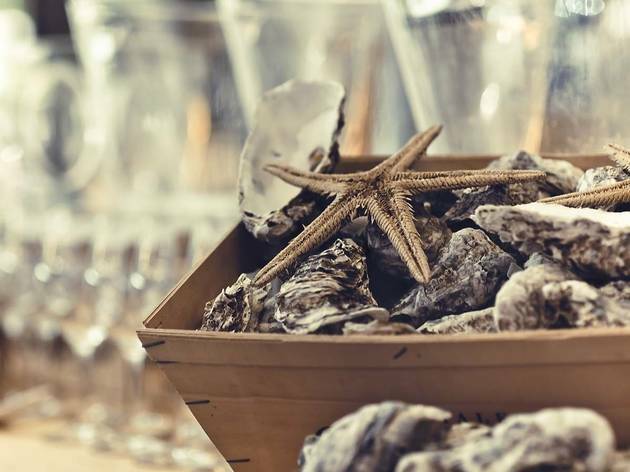 You can choose from a host of "entertainments" here, including artichoke chips, which are the star dish of the house, crispy bacon and goat cheese rolls, or a delicious creamy potato dish with octopus. There are also cold dishes like salads and carpaccio, and grilled asparagus with ham salt and bubble and squeak with prawns. And a host of "traditional dishes" such as rice specialities, pig’s trotters, and Iberian pork tenderloin medallions with melted cheese. 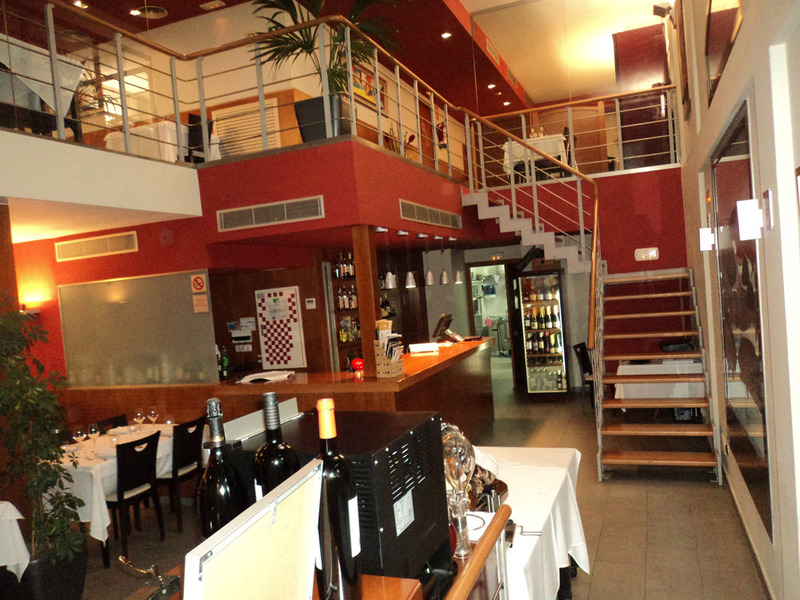 Located near Plaça Mercadal, this is an innovative restaurant with dishes for all tastes and budgets. This centrally located restaurant’s name says it all. 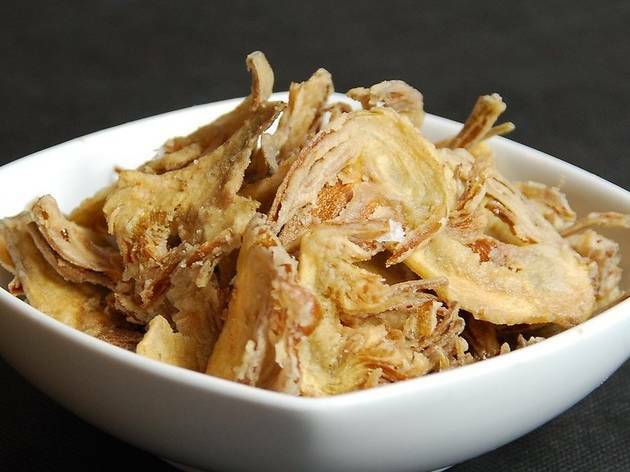 Llesques are large pieces of toasted bread served with helpings of cold cuts, pates and cheeses, as well as everything from salads and grilled meat to omelettes. 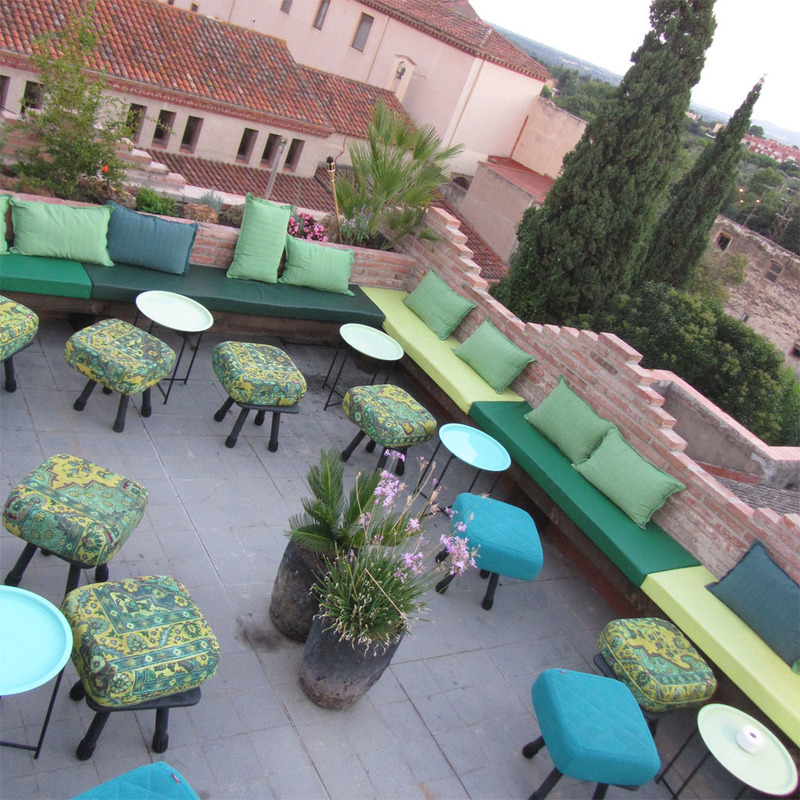 The decor is rustic and the terrace is particularly inviting in the summer months. This is the place to eat tapas or a selection of cheeses and cold cuts in a room decorated in the style of the first decades of the twentieth century and with a stage that often sees performances by bands or magicians. So if you want to eat while listening to live music, check out the schedule and book a table! 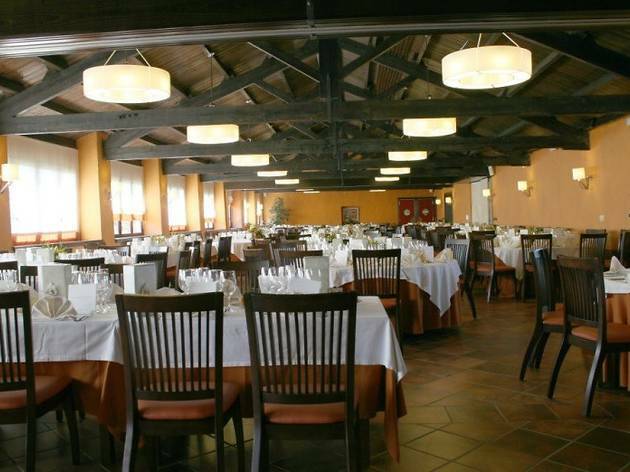 Large, spacious, with gardens; one of those restaurants ready to host the grandest banquet, but with intimate spaces. 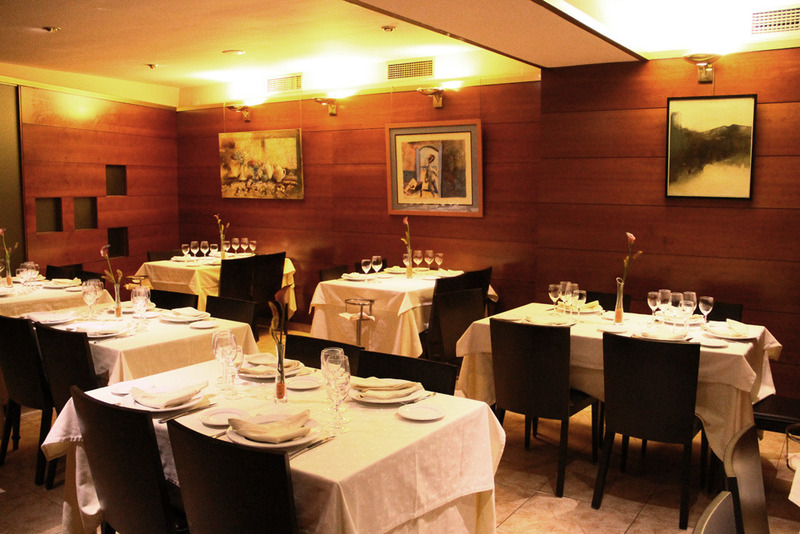 And especially suitable for the discerning palate, with a cuisine that combines tradition and modernity. The house specialty is rice, served in a variety of dishes, and snails. 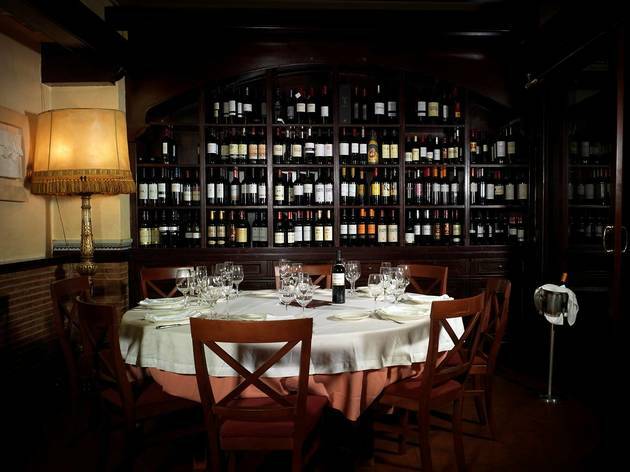 The restaurant also has a noteworthy wine cellar and makes its own champagne, which is for sale in the restaurant shop. Old and new approaches to cooking, world food, constant research, new taste pairings... these elements make up a new phenomenon that is reinvented from day to day. 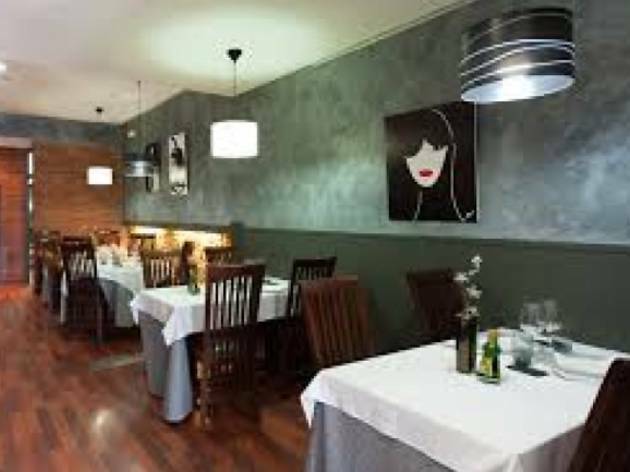 It’s the approach behind this cosy, quiet, pleasant restaurant located in the old quarter of Valls, where we can savour high quality cuisine at a reasonable price in the shape of imaginative tapas. 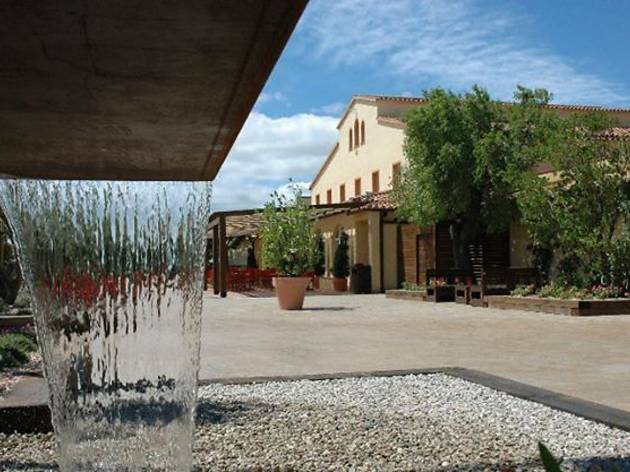 Surrounded by farmland and located at the foot of the Serra de Miramar, the Masia del Pla is a Catalan-style farmhouse that has been expanded and renovated many times throughout its history. 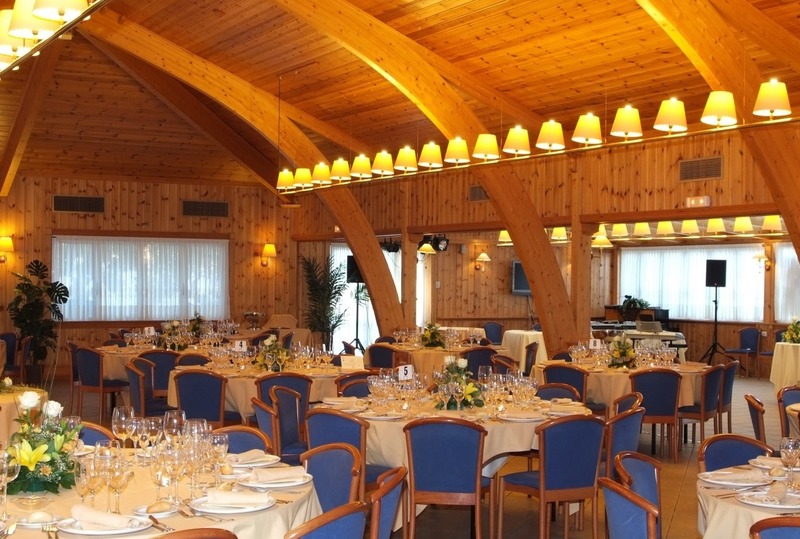 Its various rooms are ideal for lunches, special events, all kinds of banquets, celebrations, conferences, conventions ... 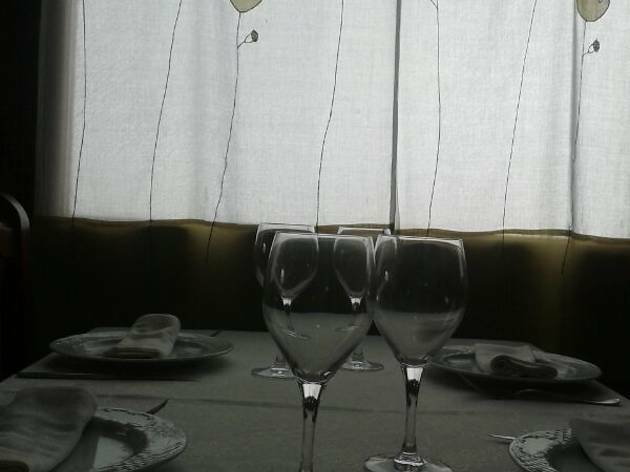 In cosy and family-style surroundings, the restaurant Masia del Pla offers cuisine made with seasonal and traditional Catalan products. Art, wine and gastronomy go hand in hand at Celler de l’Artista. Albert, Àngel and their team are all on hand to make sure you have an unforgettable experience in a place that exudes harmony and good taste. The dishes here reflect the passion of people who love what they are doing, blending the latest culinary trends with traditional elements of Catalan cuisine. Art on the walls... art on the plate. The owners of this restaurant have tried to adapt the spaces of the old house while maintaining the original construction style. Everything has been reformed with care and simplicity, giving it a special feel. 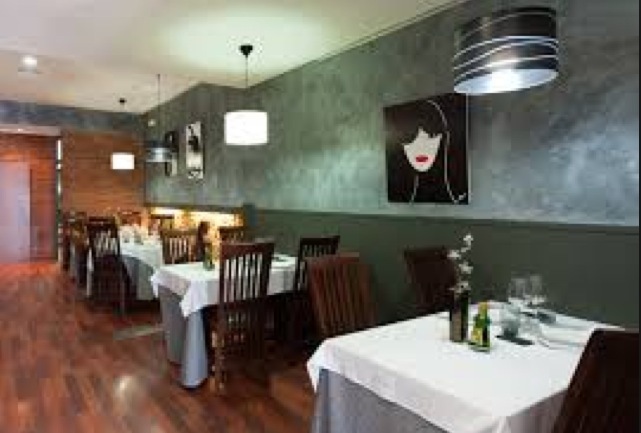 As a result, diners arrive to find themselves immersed in a comfortable, friendly and welcoming atmosphere. 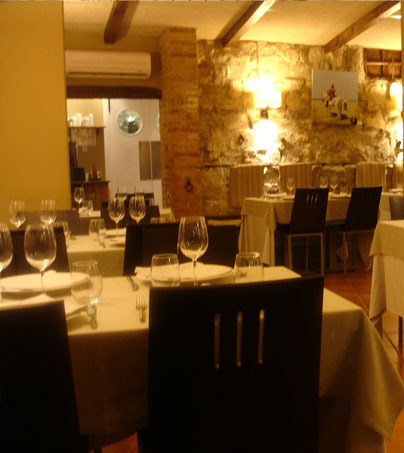 This restaurant is located in an old farmhouse in a small town in the Prades Mountains. 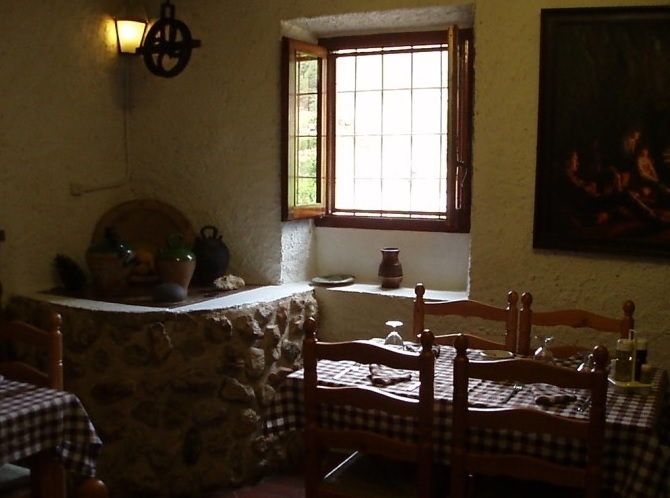 The rooms are in old outbuildings of the house, like the kitchen, where there is still a brazier, and the space where the wine cellar was, which today is the main dining room and still has an antique water depository in the corner. 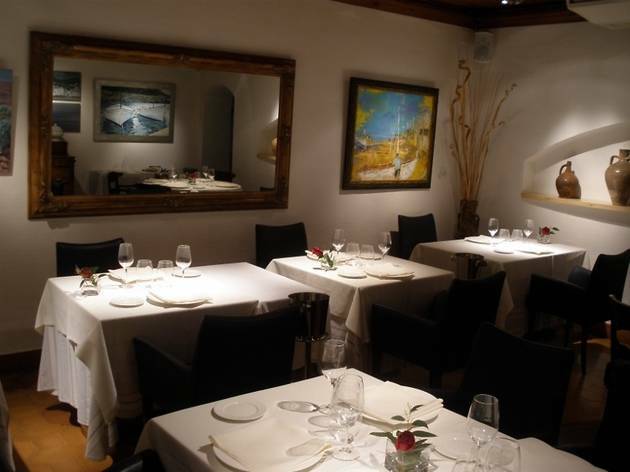 The paintings on display in this room add the the pleasure of the dining experience. Depending on the season, you can ask your server for snails or an exquisite trout. Undoubtedly one of the great attractions of the Jewish quarter in Montblanc is this building, a Jewish home dating from the 13th and 14th centuries, which is well conserved and has an elegant dining room upstairs. 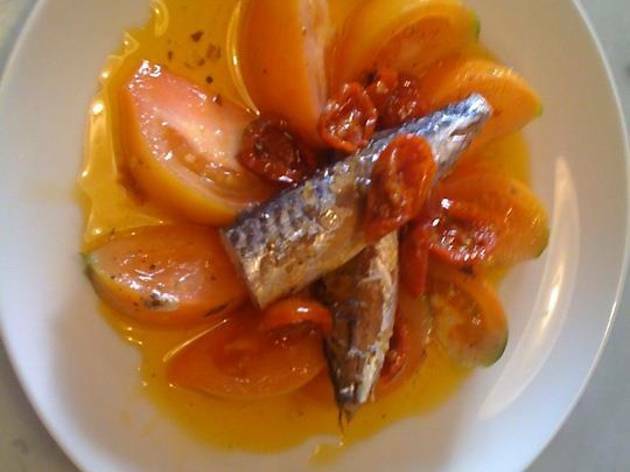 But what appears on the plates is no also ran, being based on local products, including dishes like peppery snails and salt cod with honey, which will not fail to impress. And when it’s calçot time, these traditional scallions are a favourite dish. 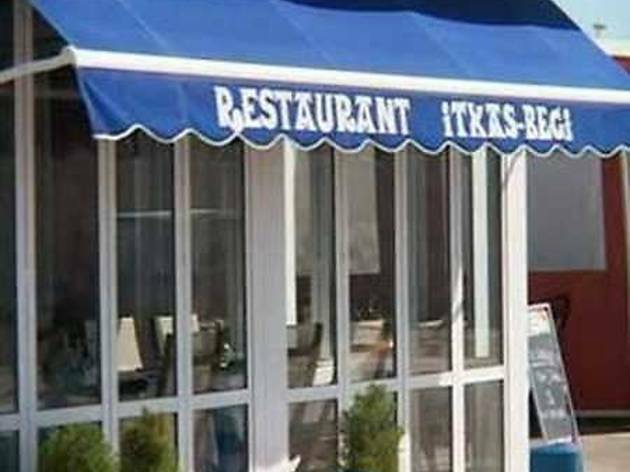 This is a good choice, located near the sea, serving traditional dishes using locally sourced ingredients prepared with a signature cuisine touch. 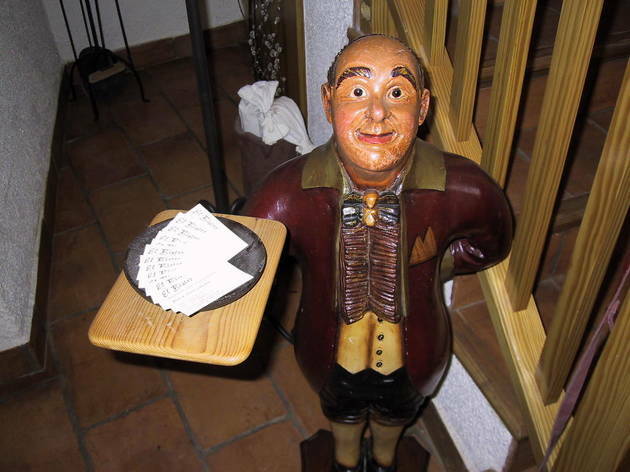 You can order black rice or rice with lobster, monkfish stew with Santa Pau beans, or free range Penedes chicken with gorgonzola, to name just a few options. 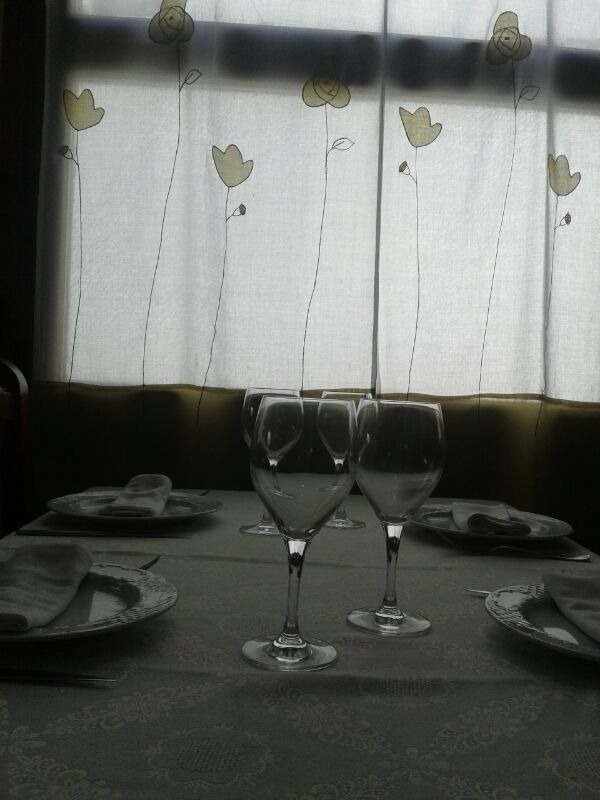 It has a terrace, but if you dine inside you’ll also enjoy good views thanks to the large windows. 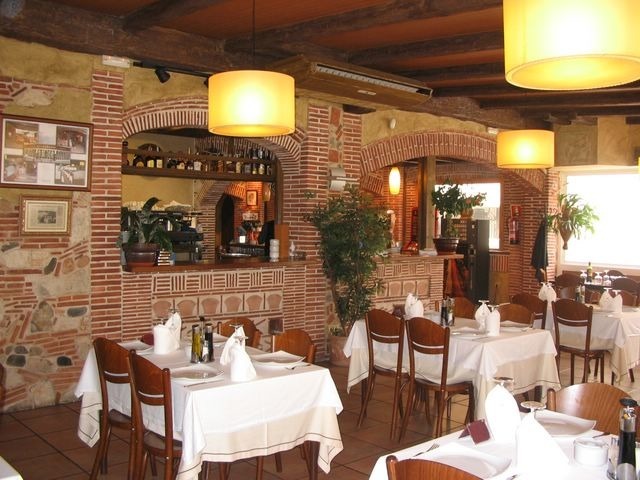 The Portofino group manages a number of restaurants on the Costa Daurada. 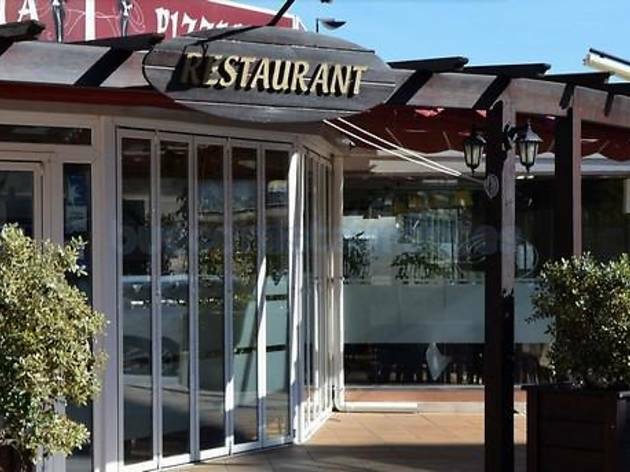 Their establishment in Salou occupies an unbeatable setting and its terrace is very popular in summer, for everything from an aperitif and lunch to dinner or an evening drink when watching the sun go down. The cuisine on offer features both paellas and seafood and pizzas baked in a wood oven, as well as a wide variety of other dishes. This small, cosy establishment has a garden with a mulberry bush that gives the place its name. It serves high quality, original cuisine. A good option if you want to try new things is the tasting menu. Among the dishes on offer are monkfish and prawn skewers, fried eggs with lobster and cod brandade stuffed with duck. 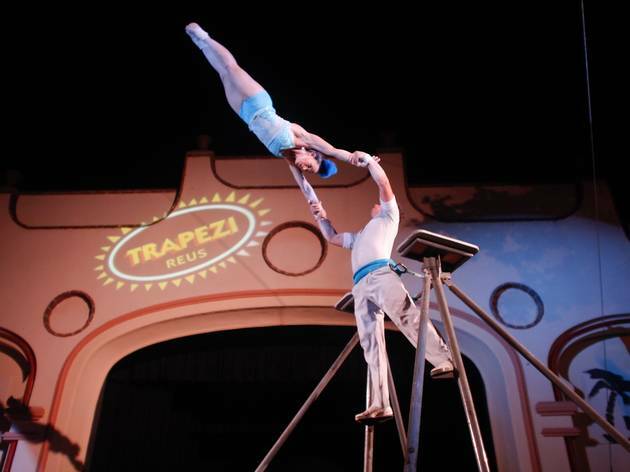 Ideal for demanding palates. 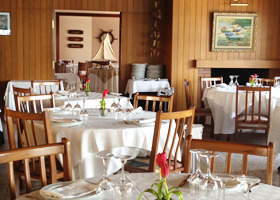 It is not common to find Navarrese restaurants in these parts, so we’d like to recommend this elegant establishment, which first opened in 1989, where you can choose from a wide range of high quality meat dishes, as well as fish specialties such as sea bream cooked in salt and grilled sea bass. 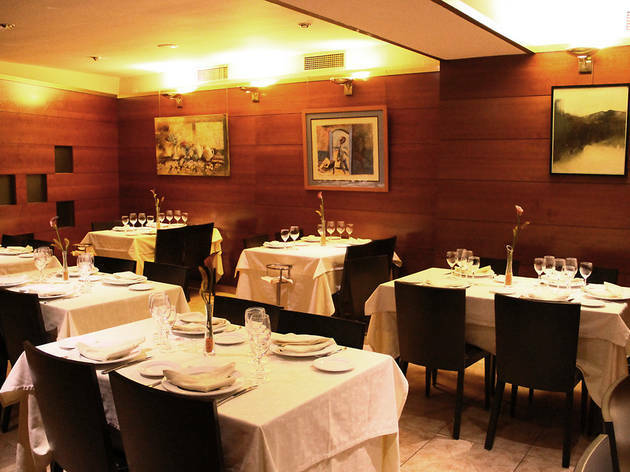 If you’re here around the 7th of July, take advantage of their special San Fermin menu. 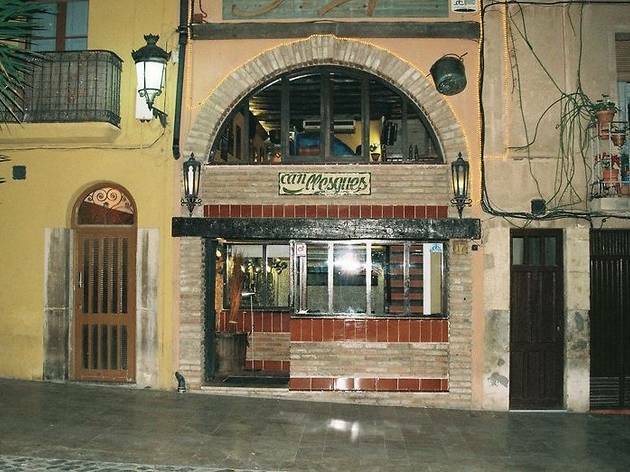 This small tavern is located in the heart of monumental Tarragona and offers exquisite food presented in original ways and a good wine list. It has been awarded the Slow Food Km. 0 distinction. 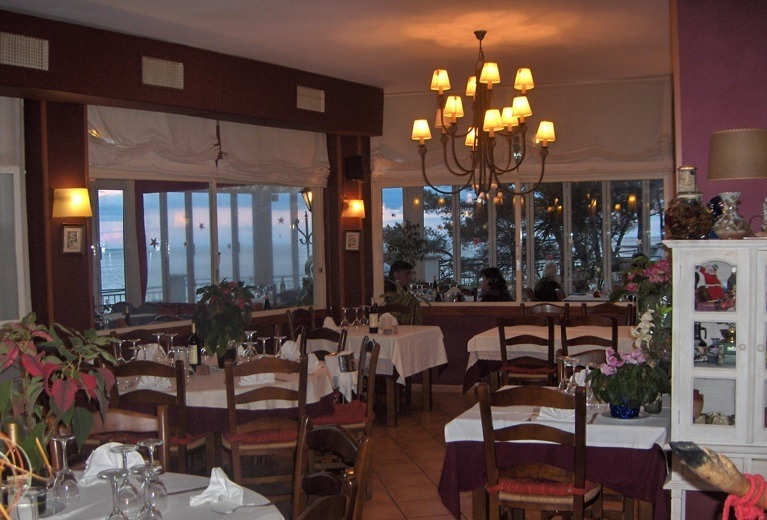 In the heart of Serrallo, you’ll find this restaurant whose name comes from a type of boat that in turn gave its name to a type of sauce. 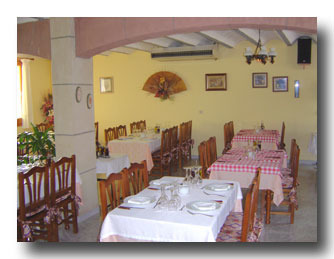 So, as you can probably imagine, the cuisine served here is based firmly on seafood, using fresh, top-quality products. You’ll particularly love their fish stews and rice dishes. In summer they serves small dishes like baby octopus with onion and tomato, rajada with a vinaigrette of capers and esqueixada with pa de vidre. 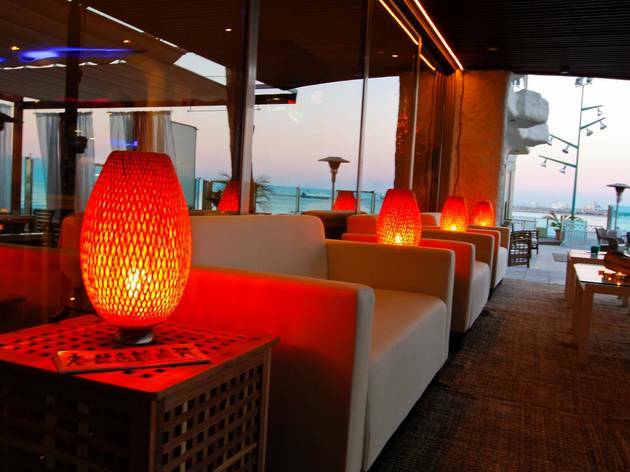 If any restaurant deserves the labels of Mediterranean and signature cuisine it’s El Terrat Restaurant. 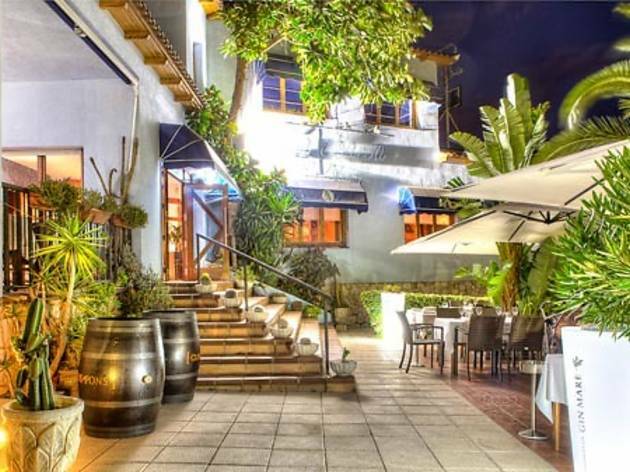 Serving food that’s both elegantly presented and exquisite to the palate, it’s located near the Balcó del Mediterrani and is decorated in a fresh, young style. 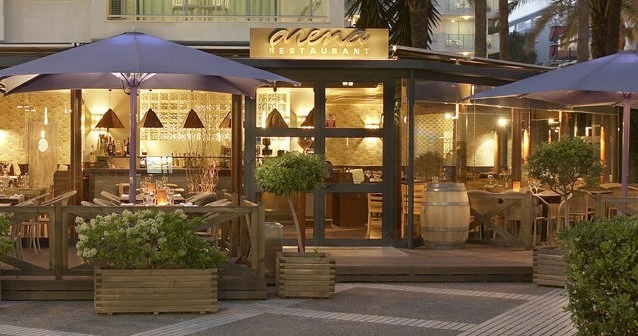 We recommend that you try one of its dishes incorporating foie gras. Ideal for homemade tapas and small dishes using organic Km. 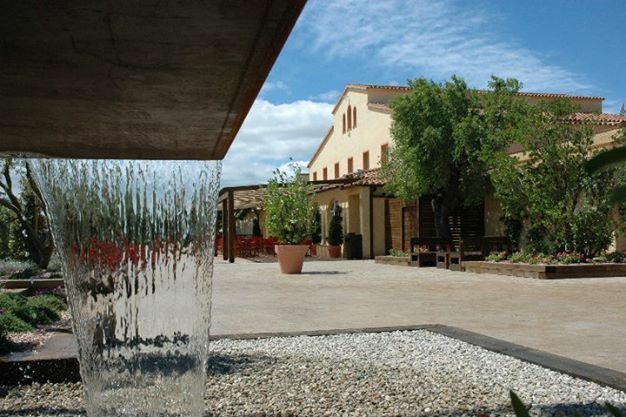 0 products, this place also stands out for its selection of wine, cava, champagne and, especially, its natural, biodynamic wines, as well as a selection of gins from around the world. As well as coming here for lunch or dinner, you can have a cooked breakfast or an evening drink with music. 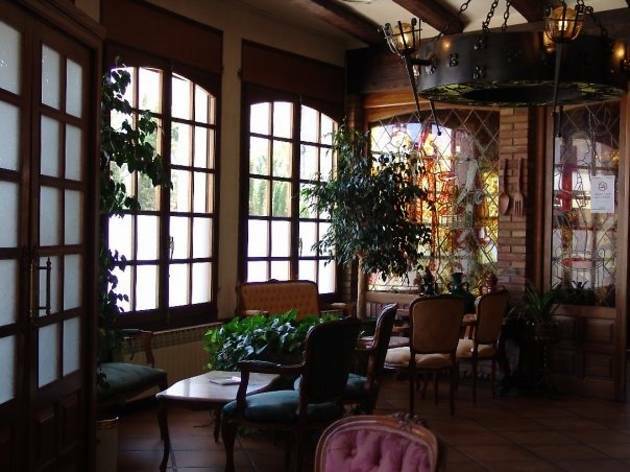 If you visit the Pau Casals House-Museum around midday, Vil·la Casals is a good option for lunch, serving Mediterranean cuisine based on fresh, top-quality products. 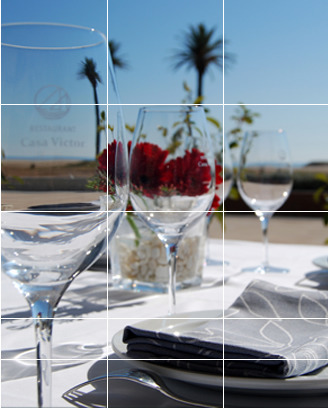 It enjoys a pleasant location right beside the sea, next to the gardens where Pau Casals once walked and rested. 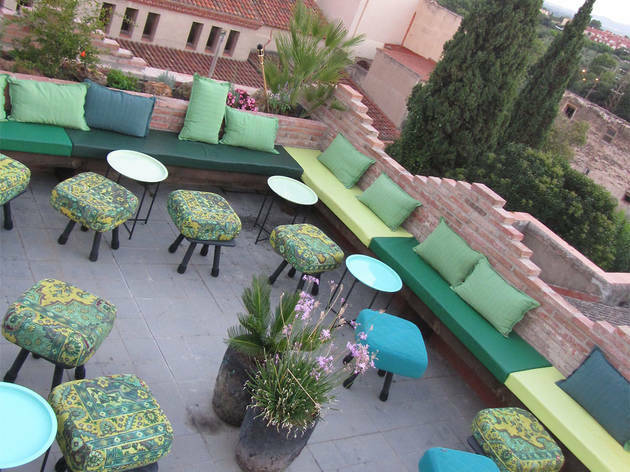 It also has terrace seating on the Passeig Marítim Sant Salvador. 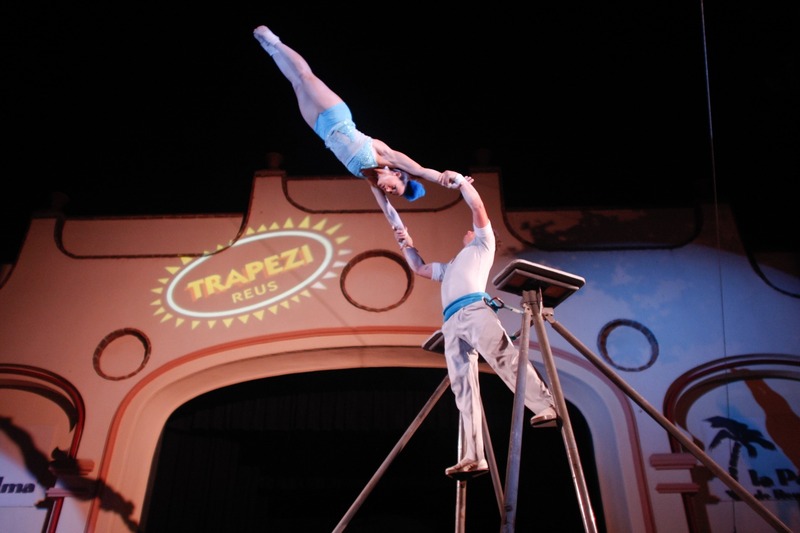 Since first opening its doors way back in 1972, Xaloquell has just kept growing and now boasts three large dining areas, one of which, the Nordic room, is really quite spectacular, since its ceiling resembles an upside-down ship. 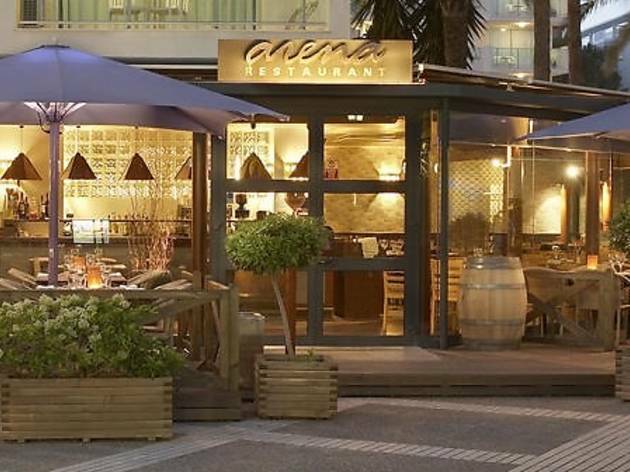 Thanks to these large dining areas, it’s the ideal place for events and celebrations, but it’s also great for a fixed price lunch menu and to enjoy seasonal Mediterranean-style dishes, paellas, seafood noodles, fish stews and shellfish. 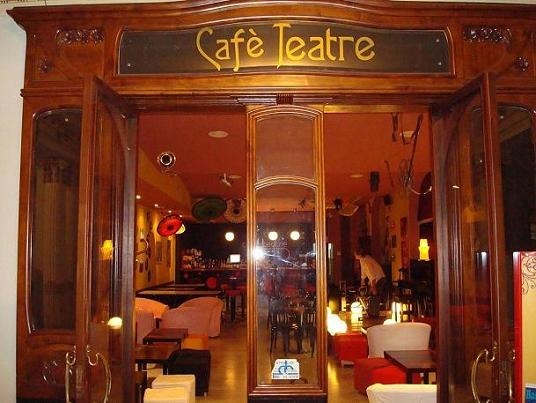 The name Tof comes from the current manager Mr Baltasar’s great grandfather, who was deaf and dumb. Open since 1979, the restaurant is cosy and welcoming; in winter you can hear the fire in the dining room crackling while it’s roasting the potatoes and artichokes. Grilled meat dishes are important here, but so are its fish dishes, and a number of specialities such as lobster cannelloni. 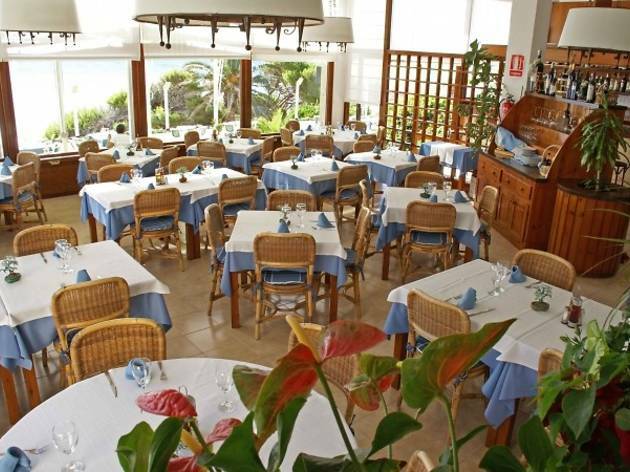 We are recommending this restaurant in the maritime district of Sant Salvador, for its quality fresh fish dishes, but also because of its picture-book location right next to a sandy beach and the blue sea, with white candles decorating its windows. It also serves calçots when they are in season and those who don’t like fish can always enjoy a delicious steak. Located very near the Deu Museum, the owners of Al Costat del Museu show their love for their town in each and every one of their dishes: the fondues bear the names of the town’s squares and streets and the wine-list is also full of local references. As well as fondues (cheese or chocolate), you can try raclettes and home-style dishes like cannelloni, stewed baby broad beans and salt cod au gratin in tomato sauce. 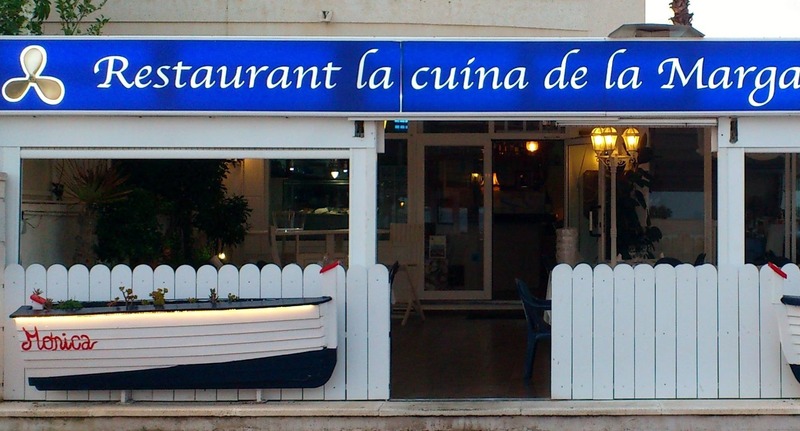 As you can imagine from its location in the middle of the Passeig Marítim in Coma-ruga, this restaurant specializes in seafood, with fresh fish brought daily from the port in Vilanova i la Geltrú. 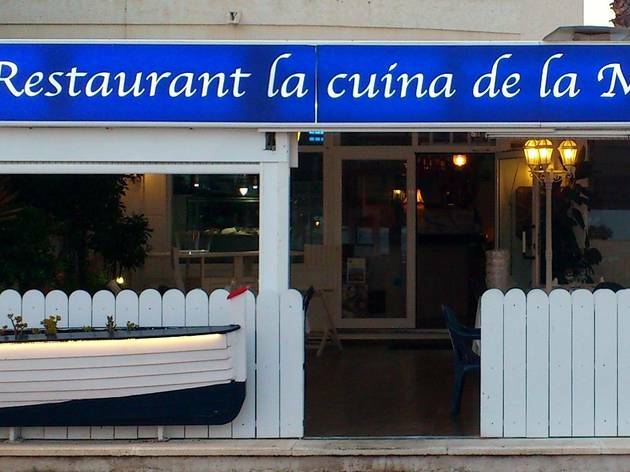 So, make your way here if you fancy a good paella or a fish stew; and don’t forget their exquisite homemade hake croquettes. 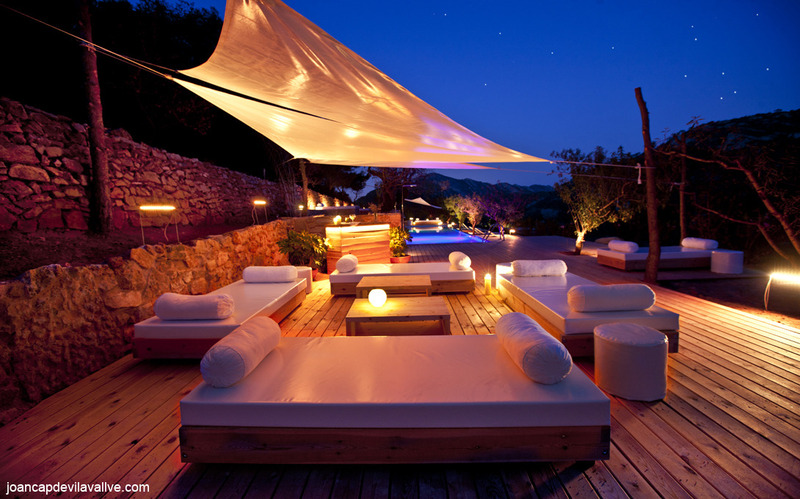 The ideal place to enjoy yourself on a terrace by the sea or in a chillout area. 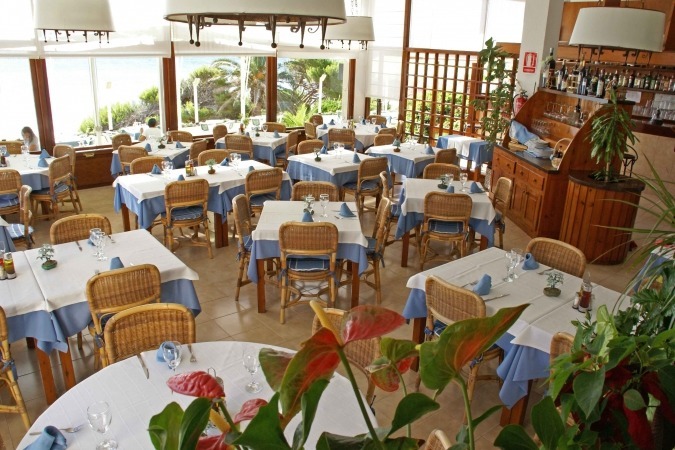 Restaurant Sol de Mar has all these elements in its favor, as well as creative fusion cuisine and a good wine list. 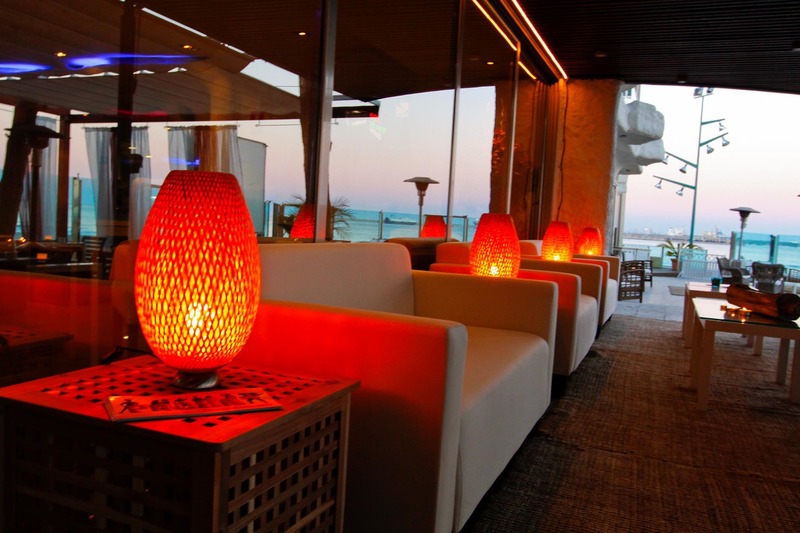 You’ll find a great atmosphere here on summer evenings, together with music and good cocktails. 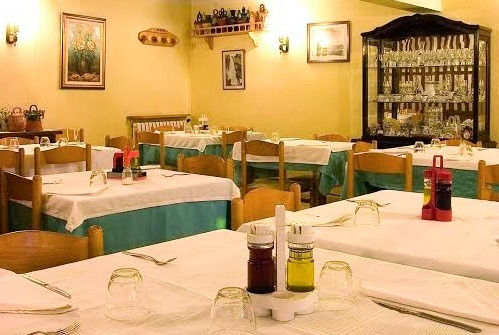 Specialising in rice dishes, Dorado has been serving paellas and many other dishes in which rice takes pride of place for half a century now, as well as fish and seafood specialities. It’s one of those places where children can spend time captivated by the water tanks full of lobsters and oysters. 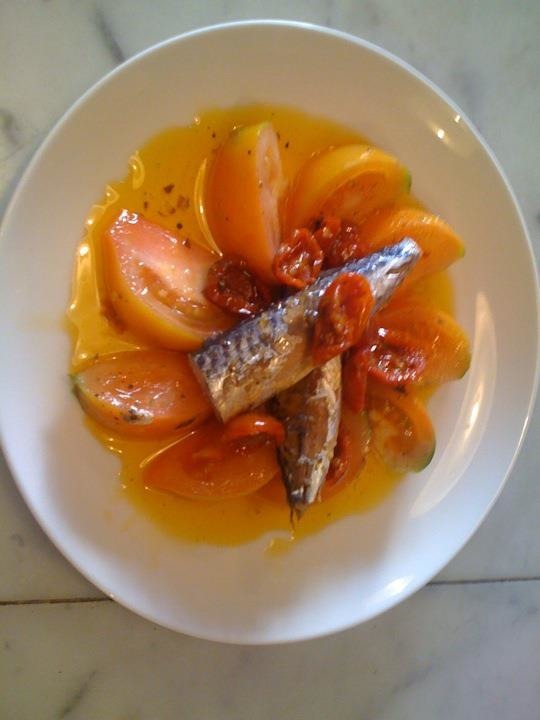 If you don’t like fish, you can order one of the many excellent meat dishes on offer. 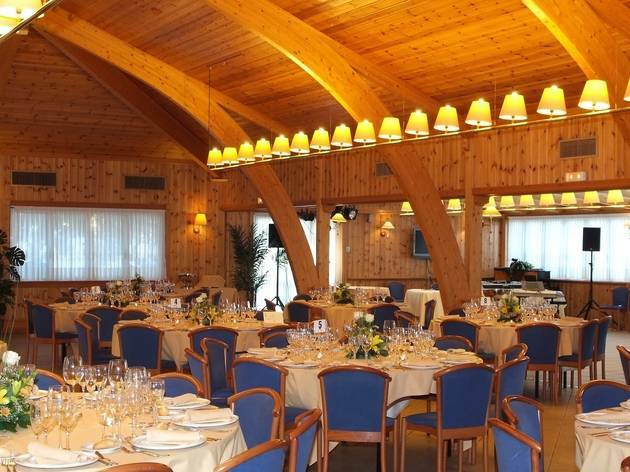 Ideal if you want to have lunch in an emblematic avenue full of pines, near the sea, at a reasonable price. You can even enjoy a wallet-friendly fixed price menu here at the weekend. 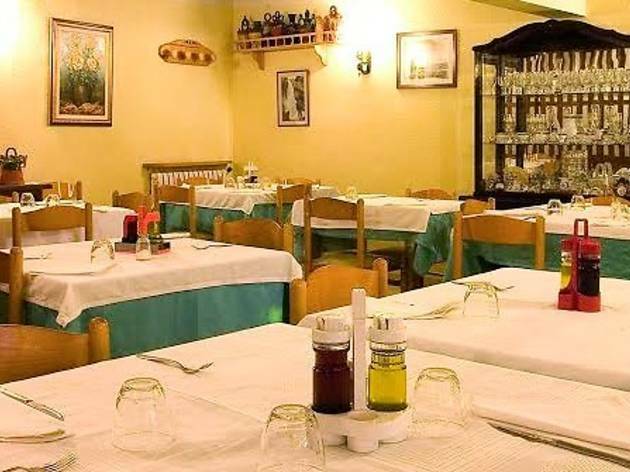 As its name suggests, La Traviata specializes in pizza and pasta dishes, though there are also plenty of rice, fish and seafood choices on offer, as well as charcoal grilled meat. With its cosy, intimate decor, this restaurant serves traditional cuisine with some modern touches. As the sign at the entrance suggests, it’s a little bit of everything: “brasserie, octopus restaurant, seafood restaurant”. So it’s ideal for those wishing to try everything from paella to a mixed grill. 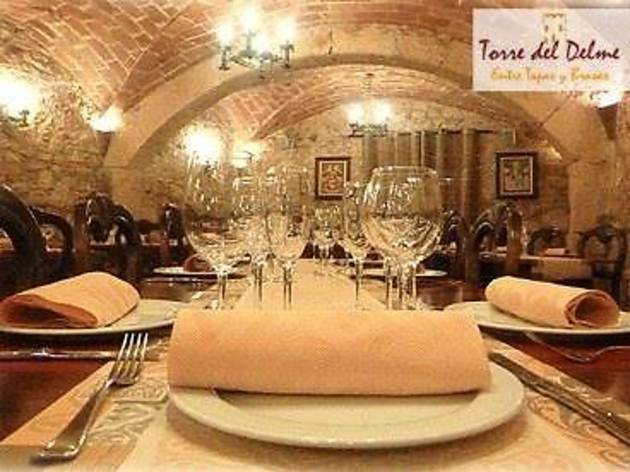 Specializing in tapas and grilled dishes, Torre del Delme offers a variety of choices including seafood, roasts and vegetarian cuisine. 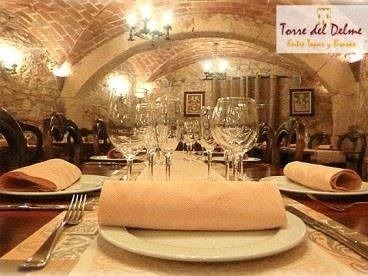 It’s an excellent choice if you find yourself in the centre of Vila-seca at lunch or dinner time with the added attraction that you’ll find yourself eating inside a defence tower that makes up part of the town’s ancient walls. 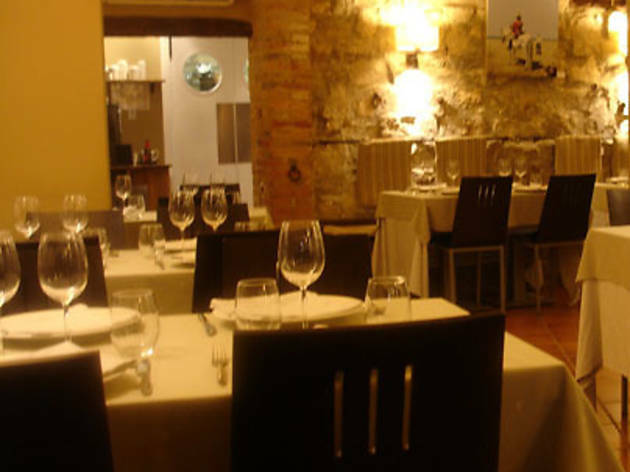 Time Out Barcelona's selection of the best restaurants and bars for a gastronomic getaway to taste the best Costa Daurada has to offer Baix Camp L'Estanc This restaurant's name comes from the fact that it is housed in what was once the tobacconist’s shop in Prades. But you won’t notice the smell of tobacco: this small restaurant offering home cooking using traditional, simple recipes has been open for three decades now. Once past the entrance arches, if you feel like eating something solid, order a butifarrada – an assortment of local sausages - or grilled lamb served with garnish. 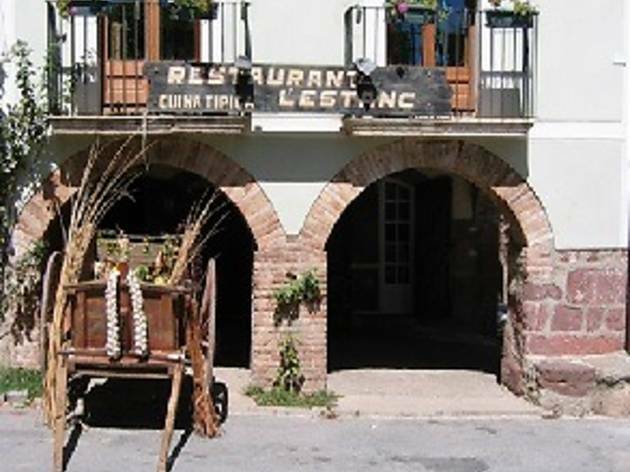 La Cuineta i el Fornet Located in Borges del Camp, this cosy restaurant with a double diminutive name serves up excellent dishes of snails, grilled meat, pig’s trotters and, when in season, calçots. 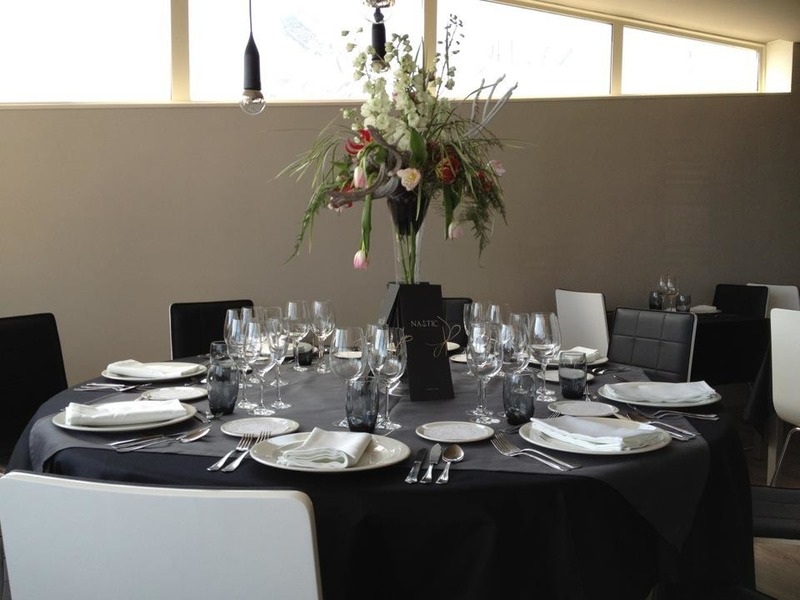 This is market style cuisine served in peaceful surroundings. And in summer you can also enjoy a pleasant after-dinner cocktail. 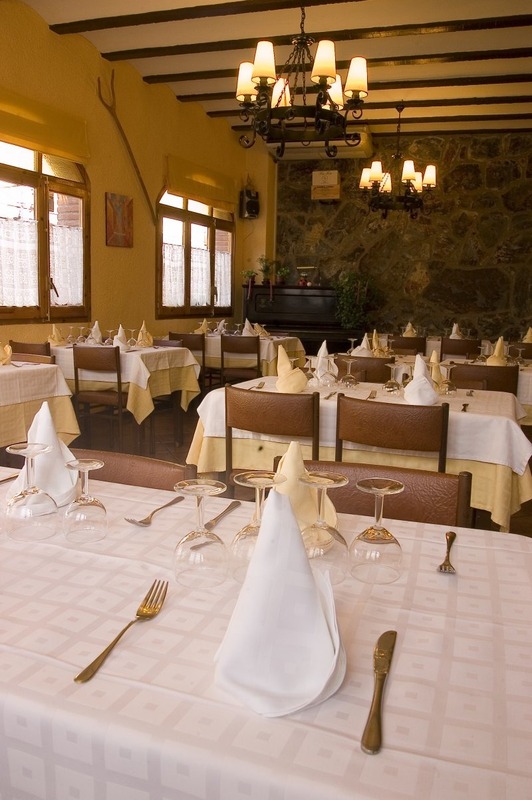 La Cuina d'en Carlos If you’d like to try some mountain-style cuisine, consisting of game dishes, stews, grilled meat, cold cuts or cheeses, all washed down with good local wine, La Cuina d'en Carlos, located next door to the Chapel of Santa Marina in the village of Pratdip, is an excellent choice. These are uncomplicated dishes but feature high quality produce served in a relaxing and friendly environment. If you’re with a group you can ask for a tailored group menu. 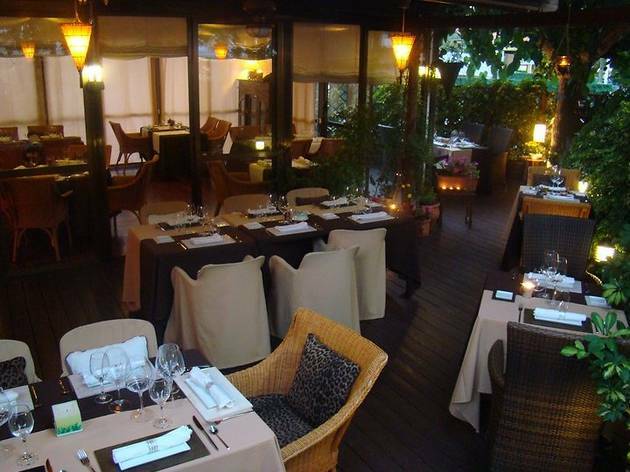 Ca l'Amadeu Serving home-style local cuisine, this restaurant is located on the first floor of a rustic hotel.